It was first announced at BlackBerry Jam Asia that it is coming to BlackBerry 10, the Sina Weibo is now in BlackBerry World. Sina Weibo is the most popular social networking sites in China. In fact, it has over 100 million posts a day. 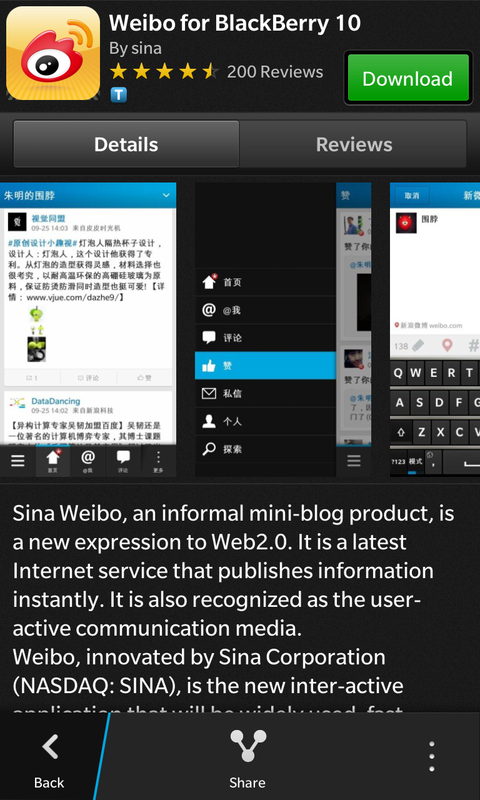 Now Sina have bring their app to BlackBerry 10.